We will be attending the ESC Congress in Munich – which has developed into the world’s largest conference in cardiovascular medicine – this August 25-29th. We invite you to visit us at our booth D450 and hear more about our options for cardiovascular diseases. Stop by for our poster session, hosted by Blueprint Genetics’ Chief Medical Officer and Laboratory Director Juha Koskenvuo (MD, PhD), as he presents the topic of JPH2 p.(Thr161Lys) – a Finnish founder mutation associating to hypertrophic cardiomyopathy with or without systolic heart failure and conduction abnormalities. Time: Tuesday 28th at 15:00-16:40, nro. 80542. Additionally, welcome to meet Juha Koskenvuo on his Cardiology Q&A session where you are able to have a discussion on the latest updates about cardiovascular genetic testing. Time: Monday 27th and Tuesday 28th at 13-14pm. Find out more information about ESC 2018 here and join the discussion #ESCCongress. 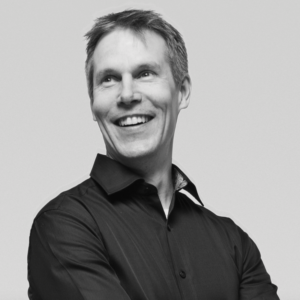 Juha Koskenvuo is the Laboratory Director and Chief Medical Officer as well as the co-founder of Blueprint Genetics. He is responsible for supervising laboratory production and for designing new diagnostic tests. He has a MD-PhD from the University of Turku. In 2006, he completed his fellowship program in clinical physiology and nuclear medicine. The following year, he became a docent. From 2007 to 2009, he joined the UCSF Cardiac Stem Cell Translational Development Program (California, USA) as a post-doctoral researcher and later as a research specialist.